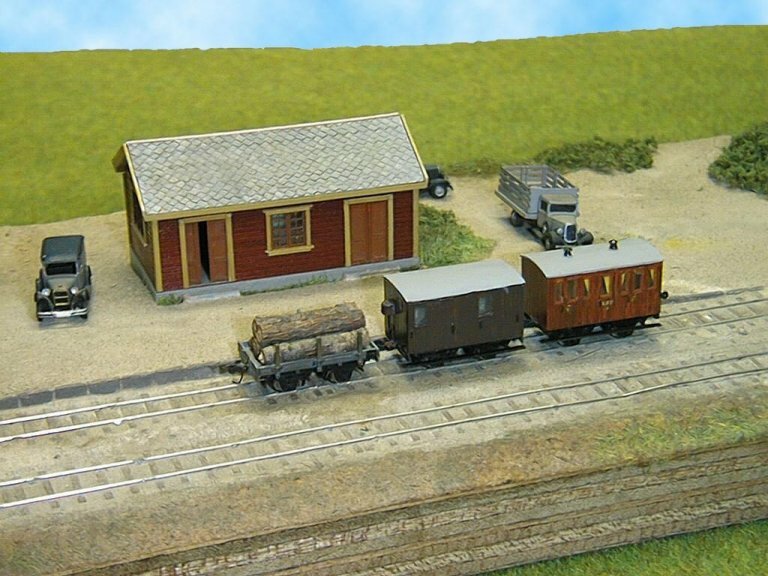 The prototype buildings, locos and rolling stock are from various Norwegian 1067mm n.g. railways. 1. Setesdalsbanen (NSB). General purpose line built to connect Setesdalen (Setes"valley") to the capital city and port of the south; Kristiansand. 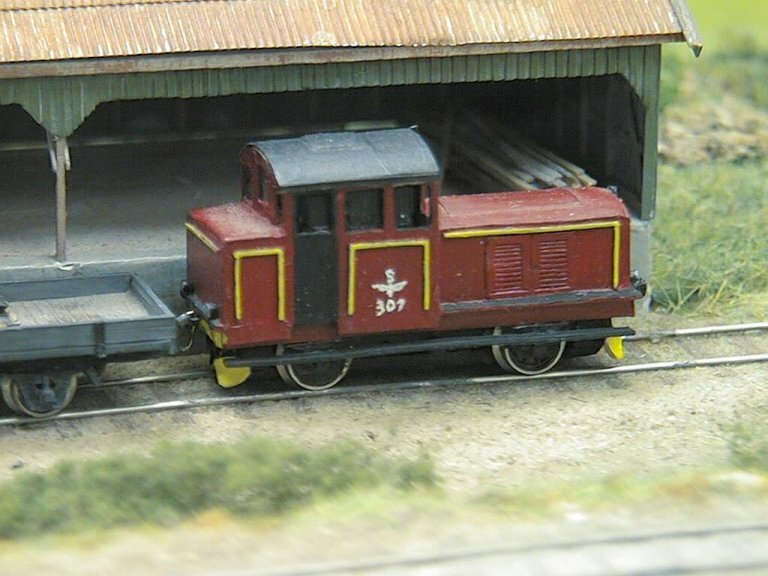 Loco 2-6-2T, NSB class XXI depicts loco nr 1, 2, (Dübs factory no. 3172-73 of 1895) 5, (Thune factory no. 4 of 1901) or 7, (Hamar factory no. 77 of 1912). Nr. 1,2 and 5 are preserved at the "Setesdalsbanen Preservation Society" at Grovane near Kristiansand in the south of Norway. No 7 was scrapped about 1962 when the line was closed. 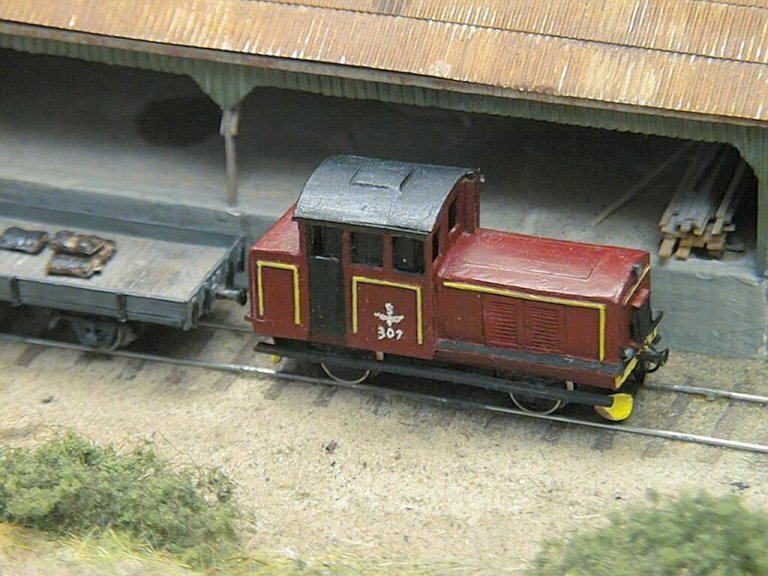 Red diesel was bought from Sweden by the Preservation Society for use in worktrains. Wagons two (grey) long wheelbase open and one (red) closed. Buildings: Bm. 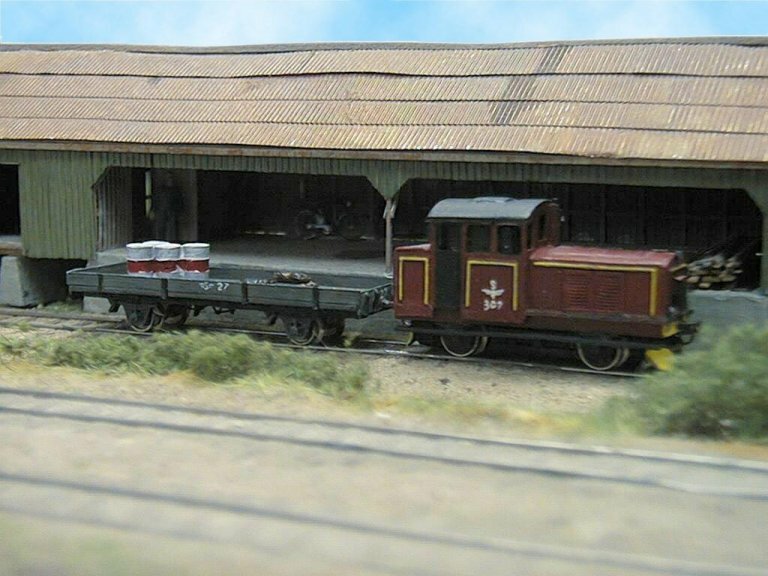 lager Grovane (Green shed), used by the rail maintenance crew for storage of parts and equipment. 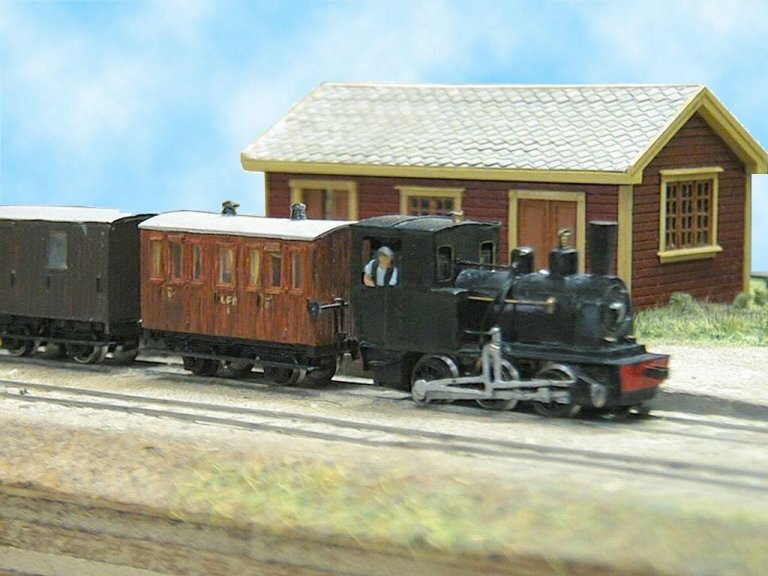 Station building is from Setesdalsbanen at Röiknes (and/or Arendalsbanen at Flaaten (South - east of Norway)). Röiknes is planned to be the new terminus for the preserved line in the near future. 2 Lillesand-Flaksvandbanen (L.F.B) (Private railway in the south of Norway. Closed in 1953). 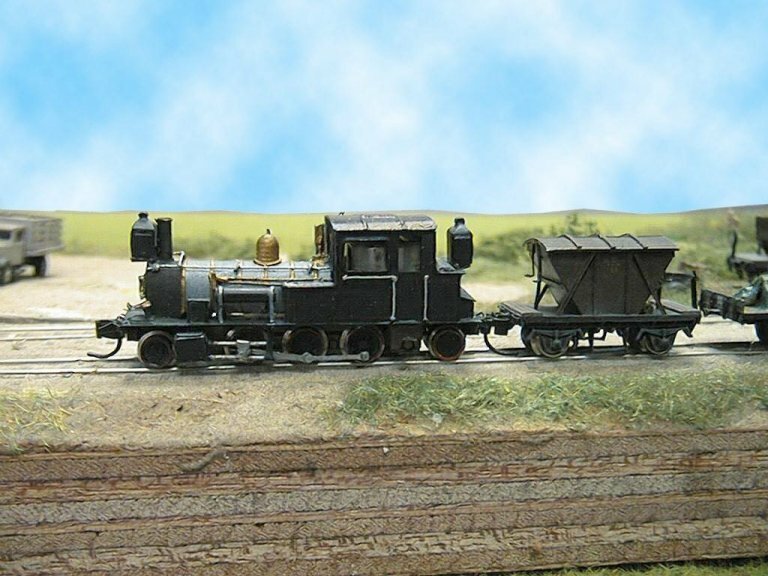 Loco 0-6-0T, L.F.B loco no. 1 "Lillesand" or 2 "Flaksvand" (Hartmann factory no. 2042-3 of 1895) Built to carry timber from the inland to the coast. 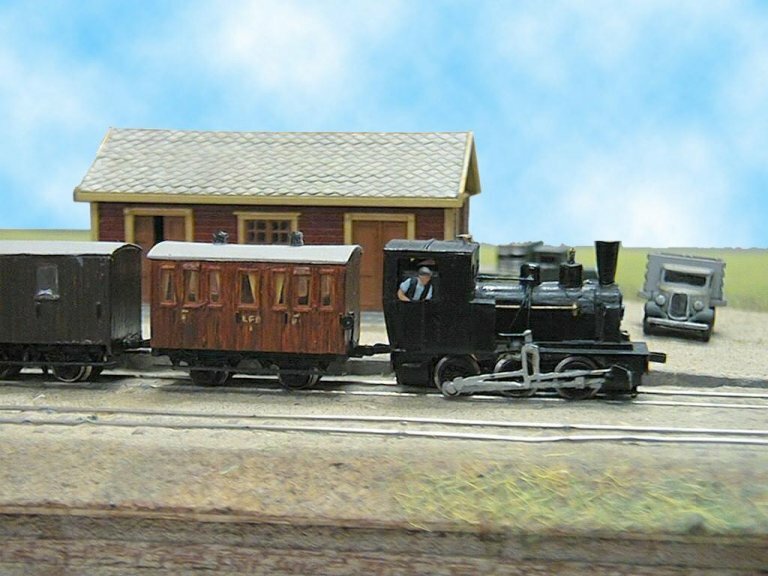 Wagons all short wheel-based: one timber wagon with bolsters, one coach and a brakevan. 3 Sulitjelmabanen (S.B.) Private railway in the North of Norway. Built to carry ore from the inland to the coast. Originally 750mm gauge. Rebuilt 1915 to 1067mm. Lasted until 1972. 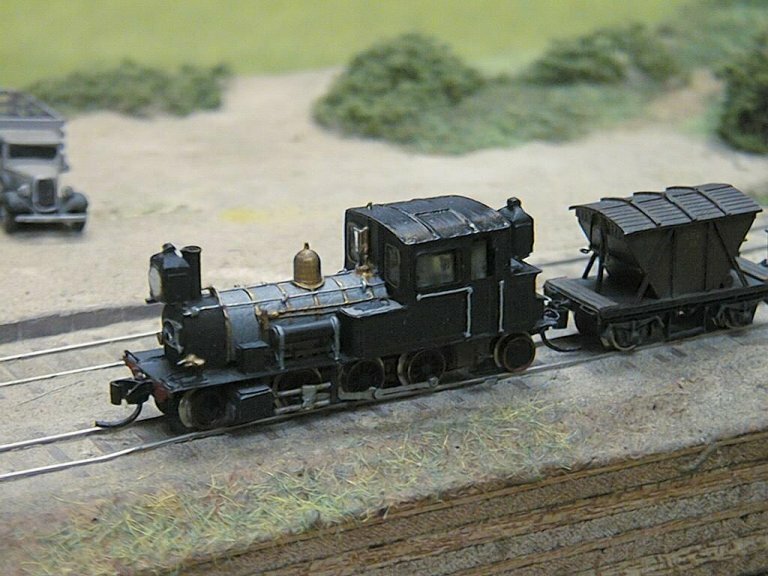 Wagons: Two short wheel-based hoppers. 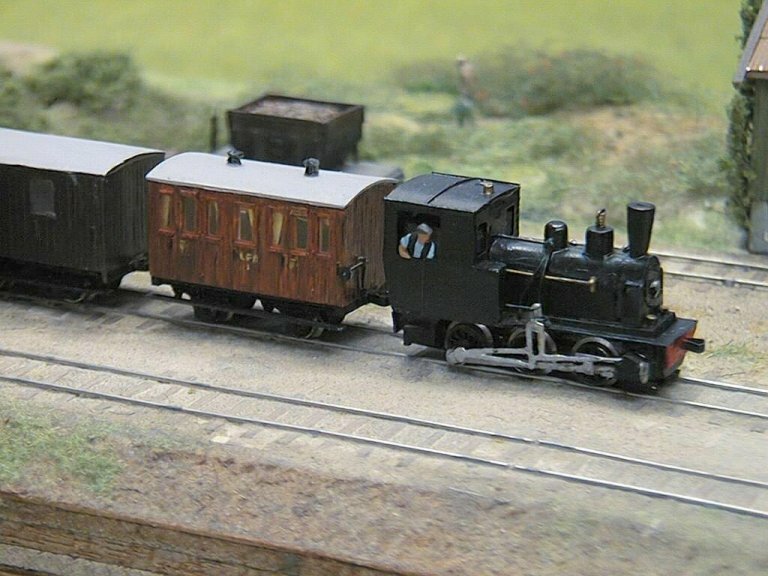 Rolling stock: built by Stein Ragnar Pünther. 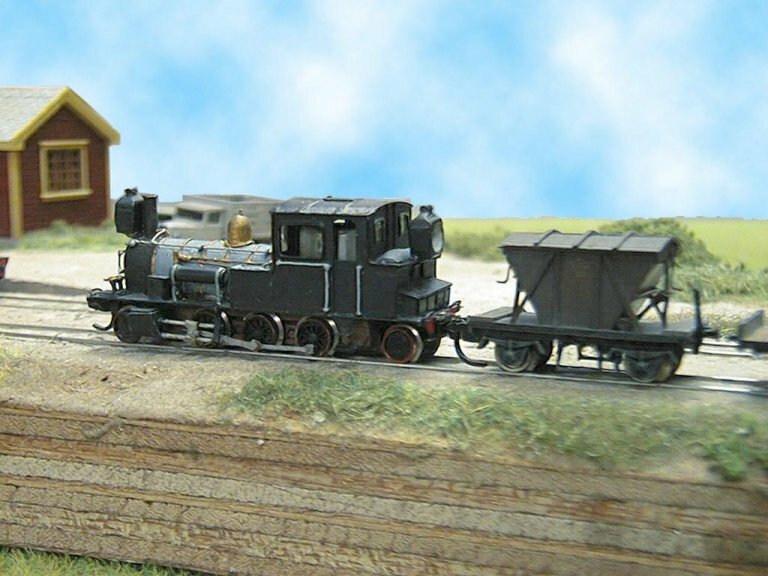 Locos are standard Marklin Z 0-6-0 mechanisms with superstructures of brass and plasticard. 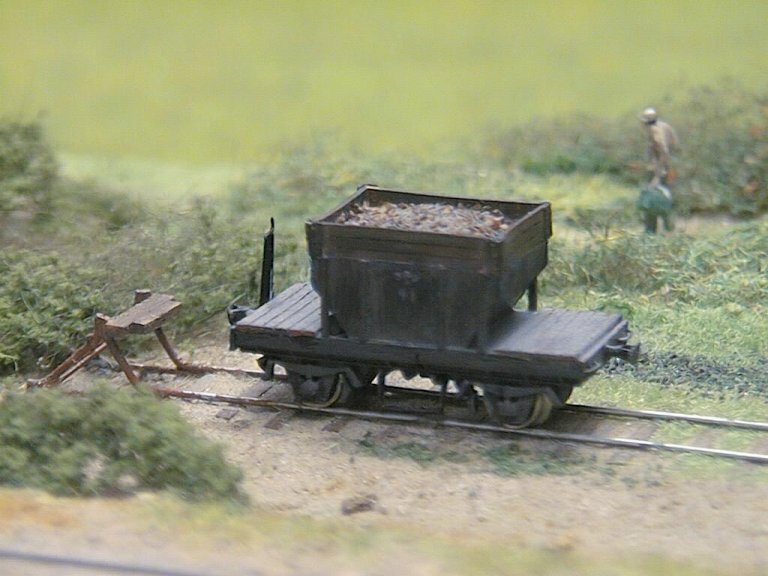 Wagons are Marklin chassis with scratchbuilt bodies in plasticard. The models were built in 1986-7. Stein has also built some buildings that he has cast in uretane. 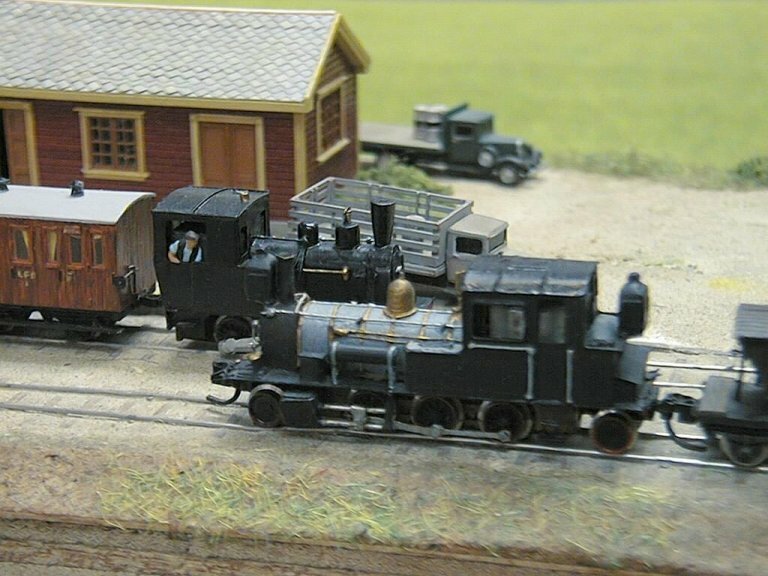 Buildings, track and scenery built by Knut E. Kittelsen. Houses are balsa, prescribed wood (station) or wooden framework with plasticard individual strips for wood sheeting (shed). Corrugated roofing is aluminium. Slate roofing is computer-drawn and coloured paper cut with zig zag scissors. Both buildings have full interior and are lighted by miniature bulbs The models were built in 1988-1991. Rail is 0.6mm (code 24) N.S. round rod soldered to tiny nails between every fifth sleeper. Gauge are 6.5 mm. 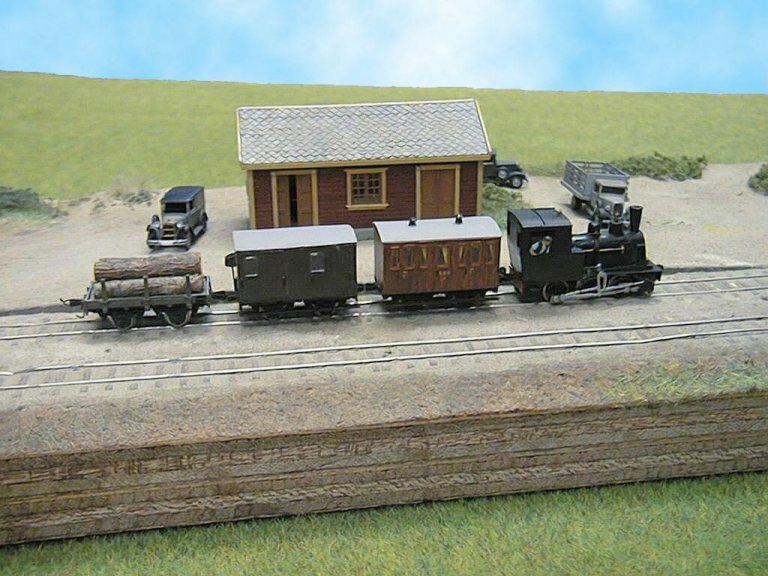 Sleepers are microstrips of wood (scale 2"x8") Ballast is superfine natural sand. The rails with the base was built the last two weeks before the 2mm 2000 show and fits on the diagonal in my suitcase. The rail got some kicks during transport as is seen in some pictures. 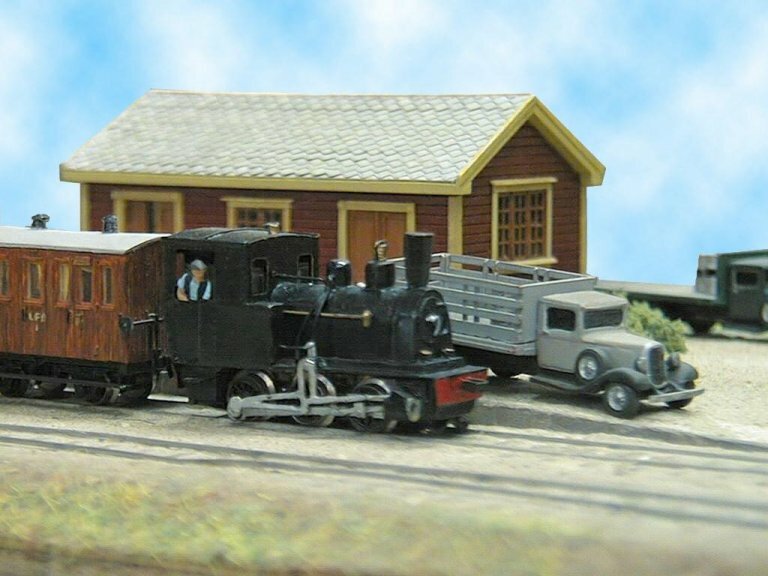 Stein and Knut plan to adopt the 2mm finescale standard for 1:160 modelling Norwegian standard and narrow gauge (1067mm=3`6"). 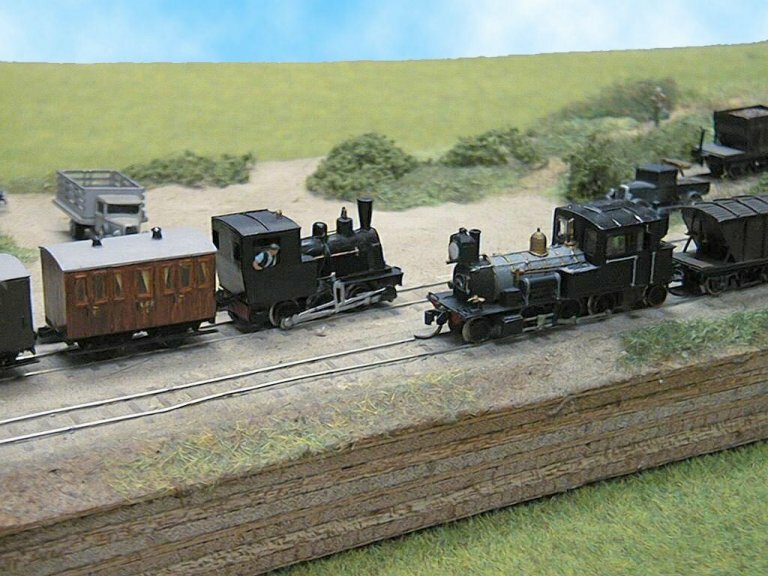 Standard gauge will be built with code 40 and narrow gauge with 0.6-0.7mm height. 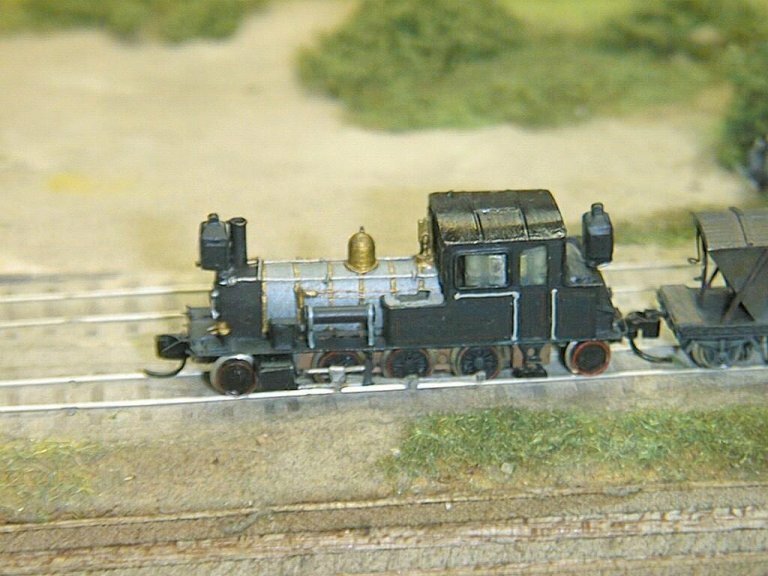 We will 8.2mm back to back for standard gauge hence 5.7mm for the narrow gauge. 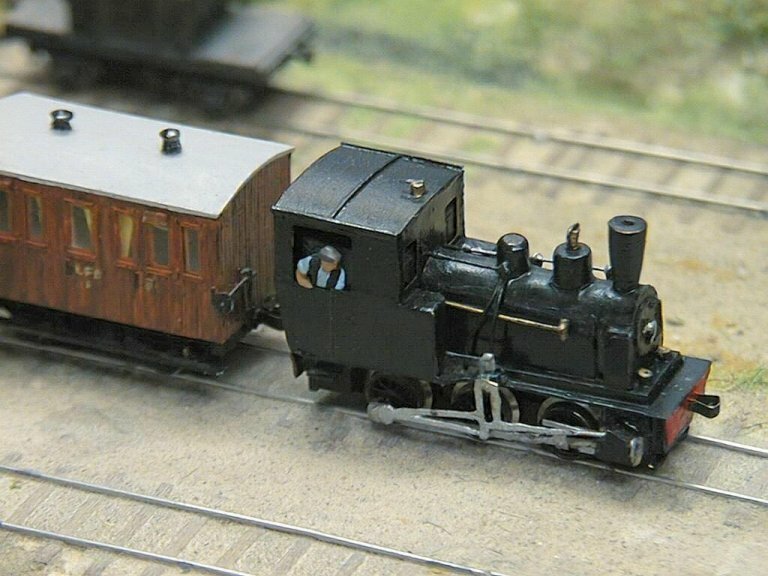 The flange height for narrow gauge may possibly be reduced to 0.4mm. Kadee´s ng wheels work fine on 0.6 mm track height. Marklins are a bit too deep. We will make a small freelanced test-layout before we tackle the Lierbane project I mentioned at the show.